For over 30 years the California Coastal Commission has been overzealous in its attempts to control private property. In Dennis Schneider’s case the Coastal Commission attempted to impose unreasonable building conditions on his yet to be built house merely because it could seen from certain spots off-shore. This is an example of how power-grabbing agencies with non-elected officials attempt to destroy private property rights – one property at a time. Imagine, it’s a beautiful balmy day, and you and your family are taking a boat ride along California’s coast. You are enjoying the pristine view when suddenly you notice a home among the trees along the shoreline. How would you react? Would you be offended? Apparently, the California Coastal Commission feels that such a sight would be offensive. Therefore, they believe it is their duty to prevent any development that can be seen from the sea. This philosophy is at the root of one property owner’s dispute with the Commission. A recent appellate court decision provides hope that someday Dennis Schneider may be able to enjoy the ocean view from his yet-to-be-built home. Schneider first presented his project to county planners in 1997. On February 24, 2000, the San Luis Obispo County Planning Committee granted him a permit to construct his home. 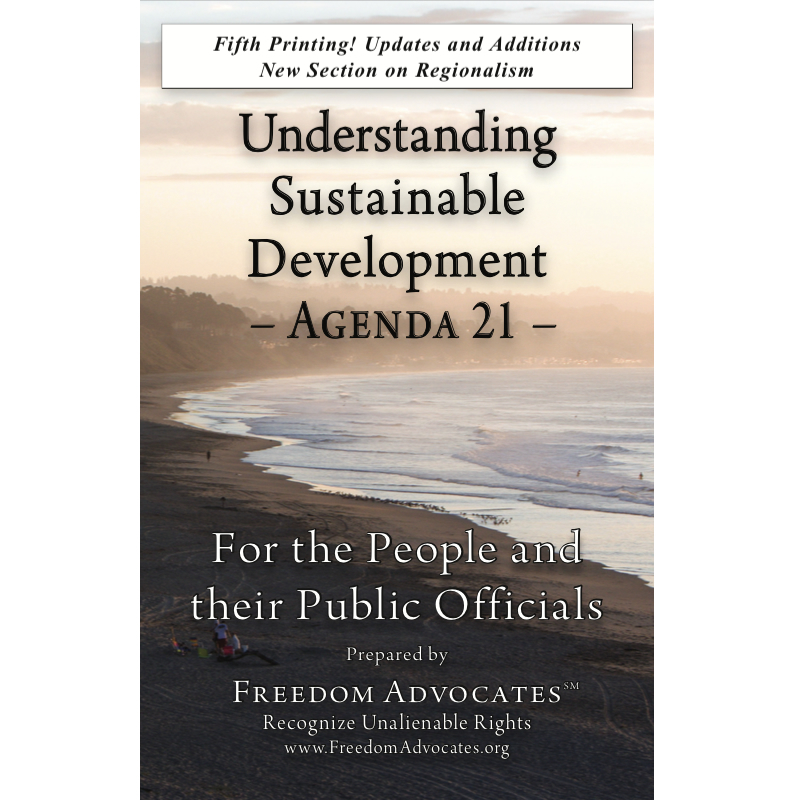 The county development permit included 27 conditions that addressed concerns about steep slopes, erosion, drainage, scenic and visual resources, agricultural use, and potential environmental impacts. On April 3, 2000, an appeal was made to the California Coastal Commission by two Coastal Commission members who objected to the county’s issuance of the permit on the ground that the project was inconsistent with the policies and ordinances of the San Luis Obispo County Local Coastal Plan. In this situation, the members created a conflict by acting both as prosecutors and as judge. Schneider went to court alleging that the Coastal Commission had no authority to impose development conditions to protect views of the coastline from offshore ocean-based vantage points. The Commission argued that the enjoyment of uncluttered views from the ocean was a public resource protected by the Local Coastal Plan. The San Luis Obispo County trial court agreed with the Coastal Commission, saying “that the beauty of a sunrise from a vantage point offshore is afforded the same protection as a sunset seen from land.” Schneider then appealed to the California Court of Appeal, Second Appellate District, Division 6, located in Ventura County. He was represented by the Pacific Legal Foundation. A court does not, in other words, defer to an agency’s view when deciding whether a regulation lies within the scope of the authority delegated by the Legislature. The court, not the agency, has “final responsibility for the interpretation of the law” under which the regulation was issued. The court ruled that it is unreasonable to assume that the Legislature has ever sought to protect the occasional boater’s views of the coastline at the expense of a coastal landowner. “The Commission was attempting an outrageous power grab that would have put projects up and down the coast in jeopardy based on nothing more than the arbitrary aesthetic whims of Commission staffers and members,” said J. David Breemer, an attorney with the property-rights oriented Pacific Legal Foundation. The Schneider case is just one more example of the Coastal Commission’s zeal in obtaining new authority, whether or not actually supported by the Coastal Act. Rather than protecting the rights of all citizens (including property owners) as spelled out in the Coastal Act, the Commission is interested only in extending its own power and making development on the coast so difficult and onerous that landowners will go elsewhere. Most property owners cannot afford lengthy and expensive litigation. This case may not be over. The Commission may seek a review before the California Supreme Court of the court of appeal’s decision. The petition for review may or may not be granted. The result may affect any future coastline construction lying within the viewshed from the ocean. *Ronald A. Zumbrun is Managing Attorney of The Zumbrun Law Firm, a Sacramento-based public issues firm. You can learn more about the Zumbrun Law Firm at www.zumbrunlaw.com.